There's always a good reason to get the hell out of town. Right now, there's a never-ending cascade of reasons you might want to spend a week or so in another country getting your mind refreshed. Well, here's your chance. 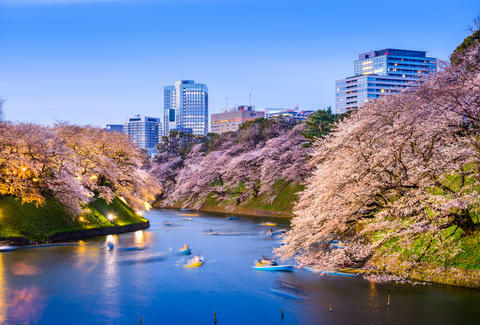 You can head to Tokyo for awfully cheap right now with a couple of deals available from United and Delta. 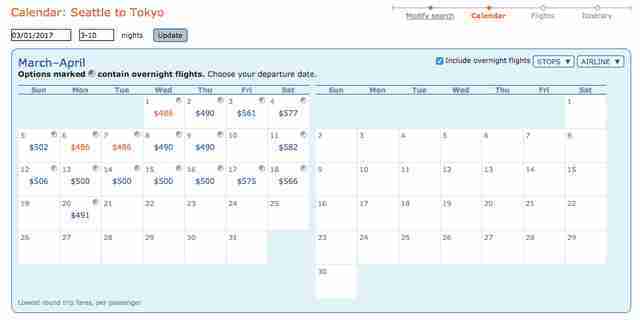 The cheapest of these are $486 round trip tickets out of Seattle on United starting mid-March. United also has $500 tickets from Atlanta, Detroit, Minneapolis, and San Diego available from late February through April. Over on Delta, there are $500 roundtrip tickets from Dallas, San Francisco, Nashville, Columbus, and Washington D.C. They also have deals flying out of Charlotte ($549), Miami ($550), New York ($595), Raleigh ($600), Orlando ($600), and Tampa ($600). These deals, as highlighted by The Flight Deal, require a little work and a routing code over at the ITA Matrix Airfare Search. Head there and enter your departure city and "TYO" as your destination. In the advanced routing code field enter "ua+ /f bc=K" if you're taking one of the United deals. Enter "dl+ /f bc=v" if you're going to take advantage of one of the Delta fares. Below those fields, check "See calendar of lowest fares" and enter "3-10" as the length of stay and you'll find some deals. These are cheap fares from the U.S. to Japan and they may not last all that long. Prices are up to date at the time of publication, but you may want to hurry up and get your vacation set up if you want to take advantage of the best prices.